The name of the herb comfrey sounds like comfort for a good reason. Infusions of the dried leaves and roots have been incorporated into soothing lotions, creams and salves since the earliest days of herbalism. 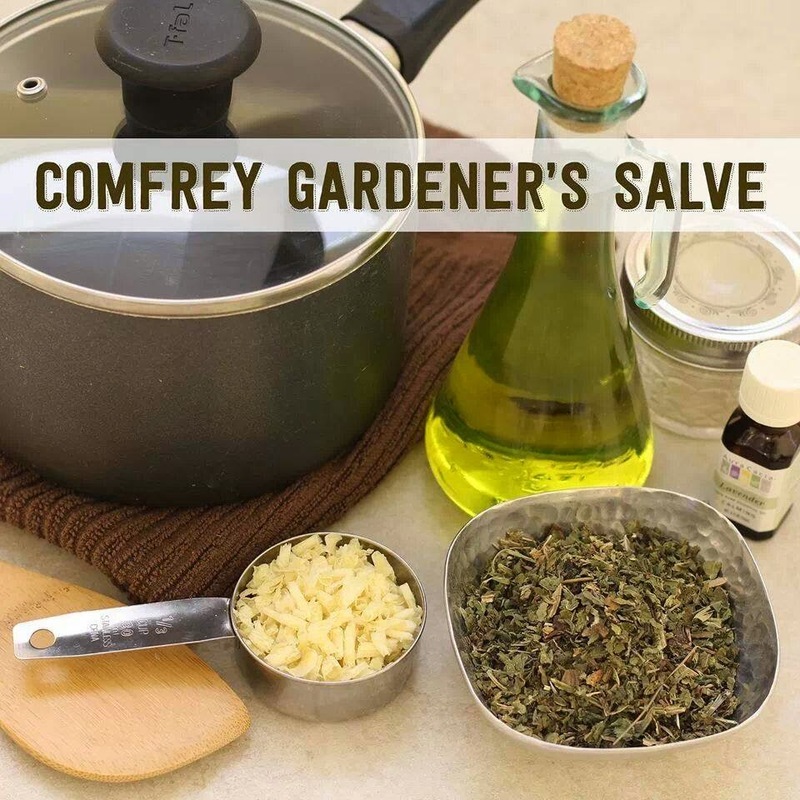 A comfrey salve is an easy herbal product for budding herbalists to make and one that is widely useful, especially for protecting and softening gardener’s hands. Since many herbalists are also gardeners, a tin or jar of comfrey salve is as indispensable as a favorite trowel. 1. Make an oil infusion: Crumble dry comfrey leaves into pan. Add olive oil. Place on stove, cover with lid and heat on lowest setting for 1 hour. 2. Remove from heat. Strain leaves from oil. Place strained oil back in pan over low heat. 3. Add beeswax to oil in pan. Stir until melted. Remove from heat and add lavender essential oil. 4. Pour into tins or jars. Cap immediately and cool. The salve can take up to 24 hours to set, depending on the room temperature. Store in a cool, dark place for up to one year.